Ketut Liyer addresses in Bali, travelers are always sought after. 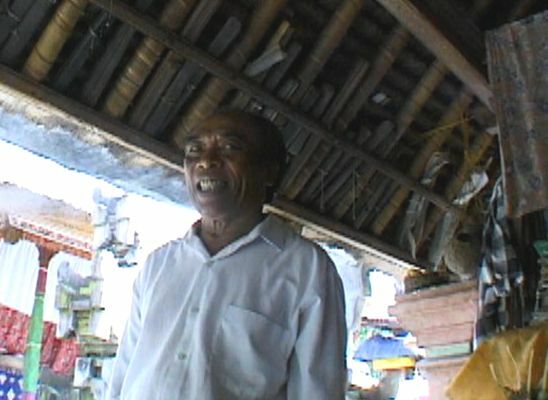 Travelers who want to visit Ketut Liyer home without assisted by a guide, many are having trouble. Often they are confused search for addresses they know from the Internet, without comes with clear instructions, as well as the exact position of the address. Ketut Liyer home stay located in Banjar Pengosekan Kaja, Mas Village, Ubud Districts, Gianyar Regency, Bali, which is the last current address, the same address as the first time Elizabeth Gilbert visited, not many people know. There is a quote Ketut Liyer conversation with Elizabeth Gilbert, in a movie Eat Pray Love, which makes many people want to meet him. "You are a world traveler. You will live a long time, have many friends, many expenses. You will have two marriages – one long, one short. Also, you will lose all your money, I think, in the next 6 to 10 months. Don’t worry, you will get it all back again. And, you will come back here to Bali for three awful months and teach me English. I’ve never had anyone to practice my English with. And I will teach you everything I know". So now many people know the Mr. Liyer homes. Address of Ketut Liyer in Bali, many people already know. Especially the Balinese, especially the tour guide, definitely mengehaui home. Although they only know the address of the data alone, without ever visiting the home of Mr. Liyer. But at least it has been held address data, so it is not difficult to find it in a search. In search of the location of an address, it would be better if you have a GPS point location when traveling anywhere. GPS can help you find the location of the house Ketut Liyer. Although not accurate, at least you know the address area of the village. In Bali, All the people know each other in a village. Because of social life in Bali is very good. If you have close to home location Ketut Liyer, in accordance with the existing address, you can ask the people around him. Then you will easily find a home Ketut Liyer.